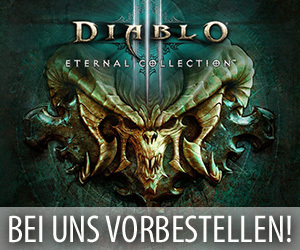 Um die für Starcraft 2: Legacy of the Void geplanten Änderungen am Balancing vor ihrem Erscheinen durch die Spielerschaft testen zu lassen, verwenden die Entwickler dieses Titels bereits seit einiger Zeit eine direkt im Spiel vorhandene „Spielbalance-Testkarte“, die interessierte Personen während einer Testphase jederzeit in Form eines eigenen Spiels öffnen und starten können. Da das manuelle Auswählen dieser Karte und die Suche nach Mitspielern aber etwas umständlich ist und einige Tester möglicherweise abschreckt, haben die Entwickler heute nun durch einen Blogeintrag verkündet, dass der kommende Patch 3.6 für Starcraft 2 dann endlich einen eigenen Matchmaker für die „Spielbalance-Testkarte“ beinhalten wird. Dieses irgendwann in den nächsten Monaten erscheinende Update wird im Interface von Starcraft 2: Legacy of the Void unter dem Abschnitt „Mehrspieler“ dann ganz einfach nur einen neuen Button mit den Namen „Testing“ einbauen, der Spieler automatisch in das neue Menü zum Einreihen in den Matchmaker für die „Spielbalance-Testkarte“ bringt. 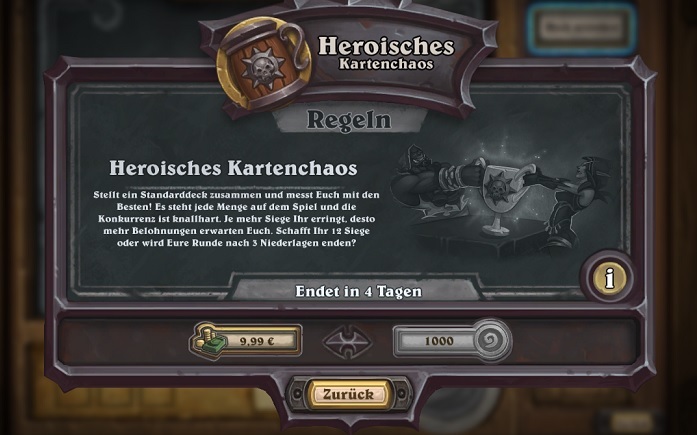 In diesem neuen Abschnitt können die Spieler dann nicht nur ihre gewünschte Rasse für eine Partie auf dieser Map auswählen, sondern sie finden dort dann auch kurze Übersicht zu allen in dem jeweiligen Moment auf der Testkarte vorhandenen Änderungen und Neuerungen. Alle weiteren Informationen zu diesem neuen Matchmaker findet ihr in folgendem Blogeintrag der Entwickler. Several weeks ago, at DreamHack Montreal, David Kim sat down with Smix and Artosis to reveal a number of planned design changes coming to StarCraft II. While the changes revealed at that event are not necessarily final, they do paint an accurate picture of the changes we’re willing to make for StarCraft II. We’d like to continue to make balance tweaks as necessary over the coming two months, and for that, we need your help! A first step towards getting more data and feedback was to make it as easy as possible for you to experiment with our test map, so we’ve gone ahead and added matchmaking for it. 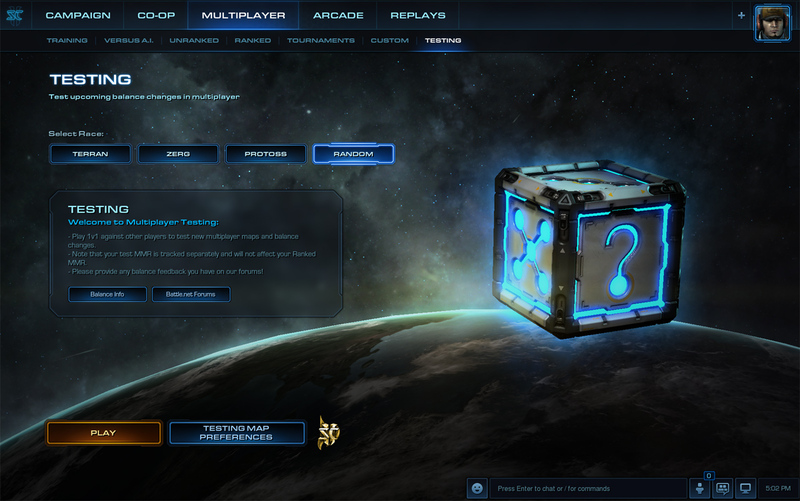 Starting with Patch 3.6, you will see a new ‚Testing‘ sub-menu appear in the Mutliplayer section of StarCraft II. This section will offer matchmaking where players of similar skill can play against one another in the newest version of the StarCraft II Balance Test Map. The version of StarCraft II that will be available in the Balance Test Map is radically different than what is currently live on the Ladder, and to make it as easy as possible to know what you’re getting into, you can now view the changes that are being tested directly within the client. This can be done by navigating to the ‚Testing‘ section within Multiplayer, and selecting the ‚Balance Info‘ dialogue box. Alternatively, if you wish to dive into greater detail about why specific changes are being tested, or if you want to offer up your feedback to the community to see other players‘ thoughts on your observations, you can jump onto the StarCraft II forums by selecting the ‚Battle.net Forums‘ option. Here you’ll find the Community Feedback Updates which are posted weekly by the Lead Balance Designer, David Kim as he responds to numerous points brought up by the community and also provides insight into the design team’s thought processes. Integrating the community into our design process for StarCraft II has proven to be immensely helpful as Legacy of the Void has continued to develop. We look forward to making our Balance Test Maps even more accessible to you, and hearing the reactions and thoughts of even more players than before. Thanks for your feedback, and we’re excited to be making even more improvements to StarCraft II! We’ll see you in the Test Map!